How we show up — our intentions, energy, and presence (our IEP) — sets the tone, impacting everything we do. This can be a most excellent thing, or the worst, depending on how you use it. Think about your morning: How’s it been? How have you contributed to it? Think about getting ready for your day: How did you talk to yourself? What were your opening words (if even internally) for this day? Were you intentional about claiming your day and happening to it, or is your day still happening to you? Think about your exchanges with other human beings: What tone did you set? How did you show up? 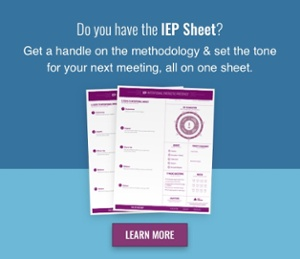 What was your IEP? Think about the advice you’ve given people today: Where did it come from? What was the tone you gave it with? What about that advice is applicable to you? Think about feedback you’ve given someone today: What was the intention behind it? How did you show up giving it? How present were you to that person? Think about a complaint you’ve had today (any complaint will do): What’s the request living underneath the complaint? Did you make the request — or did you just complain more (to others or just in your head)? Think about your workout (either in front of you or behind you for the day): Did you drag yourself through it, or were you lucky to be able to do it? What was the tone you set for yourself? Our answers to these questions tie into how we set the tone, how energized we feel, and how quickly and effectively we make things happen.